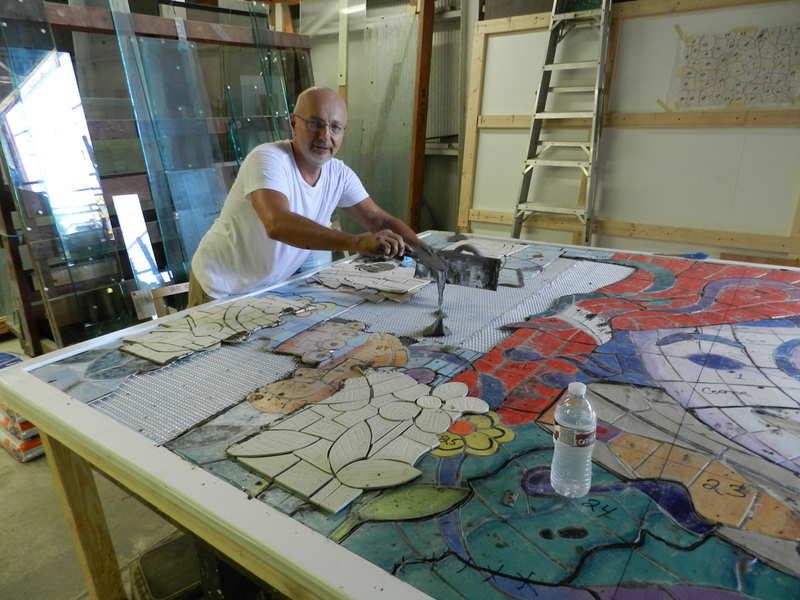 Kevin and I have been working on the tile murals for the Marshal Bridge project. 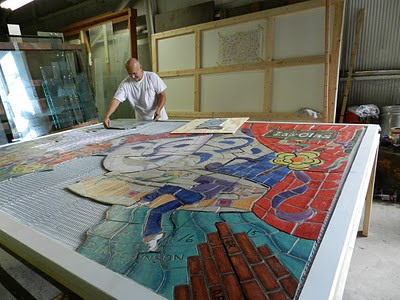 We have finished all the tiles for the 4 murals. 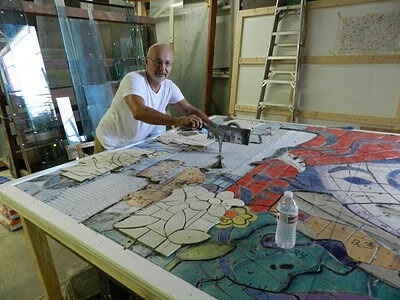 Yesterday (Wed. 9-28-11) we layed out the tiles for the Preforming Arts mural on the support board. Here is a picture of Kevin laying out a section of tile. Each section has a plastic covering to keep the tiles in place and to protect them. the next picture is Kevin mudding in the tile sections. We finished setting the tiles on Wed. now we wait till Thursday 9-29-11 to remove the plastic covering the sections of tiles. Grouting comes next.